This is an old blog, as blogs go. I find it has been in dire need of updating, as I try to replace missing photos for the related links feature. Many of the older links had no pictures, an early complaint of some of my readers, and this has proven to be a great liability in modern blogging practice. So updating has been my main blog occupation lately. It is no surprise to many that have been online for awhile, that many blogs have simply gone missing, too. Promising writers and photographers simply closed up shop, which left me with dead and empty links. Sometimes I simply need to rewrite things to make sense. As in the blog, so in life. I’ve been personally in need of updating, as I age and lack maintenance. My home and certainly the garden have befallen into some neglect over the years, and they too, are the recipients of makeovers and outright renovations. It is a tiresome process, sometimes. I’d much rather have a new project… and oh, if only I could get a “new me”. But I believe it will all be perfectly worthwhile in the longrun. I tend to be hopeful that way. I guess it is a good thing that I have always had an affection for old things, for their history and the fact that they lived through interesting times. Old houses, garden, artifacts… visits to museums… reading of times long past, imagining the stories from remnants of landforms and scars left behind, carved into the surface of the soil. And so it takes me forever to sort through and update these old pages. I can’t help going into a mesmerized reverie as I reread old posts, remembering their purpose once upon a time or the notes I took on my gardening. I search for the photos. I get lost on google. It is all something of an adventure….this exercise in updating. See, this is what you have to look forward to, when you get old. updated to add that this post is already outdated. I changed the template when moving the entire blog to wordpress. I no longer need the rather complicated ways of including related posts that Blogger required. The blog has a new look. In keeping with the changes of the internet,i.e. more mobile users, I attempt to create a more functional design. You may notice the emphasis on including a video gallery. That is the direction I hope to go this year- always choosing the most challenging option possible, I guess. The important thing for me is to not worry about how amateur I look in the process of the learning curve, but producing something useful and helpful to other gardeners. Why would I want to make more videos? Probably because I like to learn in that way, and figure that this is true of many others. It is a variation on the “a picture is worth a thousand words” maxim. While I genuinely love to write how-to and information based posts, perhaps writing is better for musings, inspirations, etc. Right now, if there is a choice of watching a one minute example of pruning lavender, or reading an article that tries to implement visual aids of clumsy graphics and a few photos… I believe I would rather have the video. We are all talking about “clean”. Clean eating, clean living, and a clean experience. I am trying to pare down all the junk, in my home environment, my garden, and this blog. The aim, of course, it to clarify thinking, increase calm ( just like those ubiquitous posters??? ), become lighter weight in life. We carry so much in the form of belongings, obligations, and distractions, it seems. I am so much slower and have less physical resources, so “slow gardening” is a necessity for me. No more big plans that I can slap out in a couple days of exhausting work. Last time I tried that, I injured my knee with long term consequences. No, now I will garden with deliberation and a smaller scope of goals in tow. My plan is to enjoy my gardening and not allow the work of it to drive me… yet still expand parts of it. I think I mentioned my gardening partnership. I will expand the food gardening (and hopefully master the harvesting part of it) by working alongside a friend who is going to “community garden” here. Her enthusiasm is contagious and I could use the motivation to get back to cooking and eating a better diet this summer. I want my garden to be a place of reflection and complement my spiritual direction. I have plenty of space and like the idea of setting up a prayer/exercise walk. The idea is one of encouraging a daily morning excursion around the yard. I believe it will balance the tension I often feel between blogging, creative work and the practical daily tasks that tug at me. Sometimes one side tugs and prods, sometimes the other. I end up inefficient and often dissatisfied. But the balance achieved by changing how I start my days and the time given to fueling my inner being promises to lessen regret and confusion. I think it will help center me, which is my best weapon against distraction. Plus I will have some nice vegetables on my plate! Yes, I think it is becoming my lifestyle, now. God knows I need to head in that direction! While continuing to sort through my home life, decluttering the garden will be next. When I was working on changing the design of this blog over the past week, I found I had linked to many things that no longer were there. Worse than 404’s are the parked domains with spam ads and links. I severed those links, taking them off the site. I know I will have to continue to sort through even those of some benefit, just to streamline the experience here into one where the utmost of “time well spent” is the aim. This is so much like my life, in general. I have many “old links” that don’t go where they were originally meant to, or which have minimal benefit to either of us. Something about those links must change. Otherwise they anchor too much of my energy and thinking to what drains me, instead of invigorating or nurturing me. Or allowing me to become that for others. So this is a window into the year of 2015. I might name it “consolidating”. 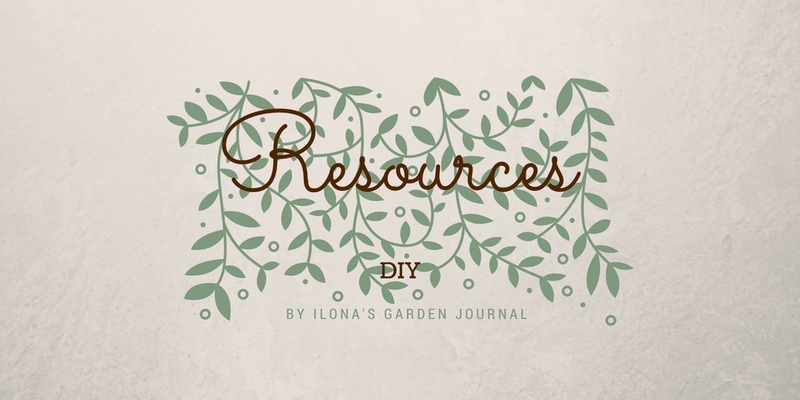 It is time to create a journal for your garden if you don’t have one already. I came across some sources for you, in case you haven’t found them yet: printable from your own computer. Gives combo of information and record-keeping. Nice feature is the choice of printing in either color or Black and White. 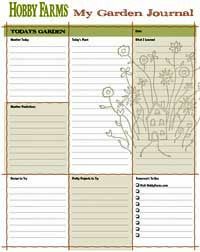 Enjoy the journals and start keeping records of your garden you will be happy you did! Reason to keep a garden journal? 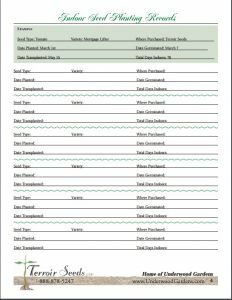 After reading a review of a gardener’s journal, I came across a description of how one resourceful homeowner had put her garden journal to good use in an innovative way. It could be one way that a seller would gain a bit of advantage in a tough housing market. It is a well known piece of advice that sprucing up the landscape adds a great deal of value to your home, and is an important part of the “curb appeal” for new buyers, but how many people think about helping out the the new owners after the sale? How many people (unless they are avid gardeners to begin with) think about taking care of that landscape that attracted them to the house they now own? A woman who used her garden journal to benefit the new owners, did just that. 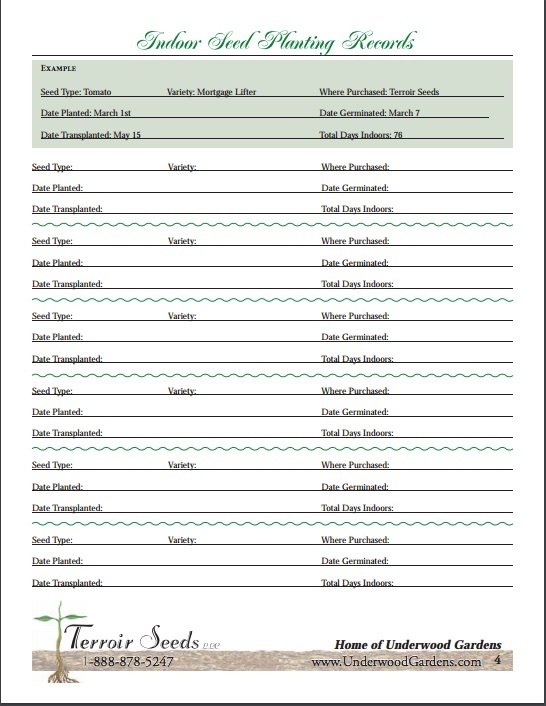 How Do Home Owners Benefit From a Garden Journal? She had lived in her residence for more than a couple decades, and during that time had kept a journal recording her newly planted shrubs and trees. Details like what she planted, when she planted it, and where it was planted (using a garden layout plan) were all kept in her garden journal. All she needed to do was make a copy of this invaluable information for the new owner. Who wouldn’t love having a record like that from the former owners? 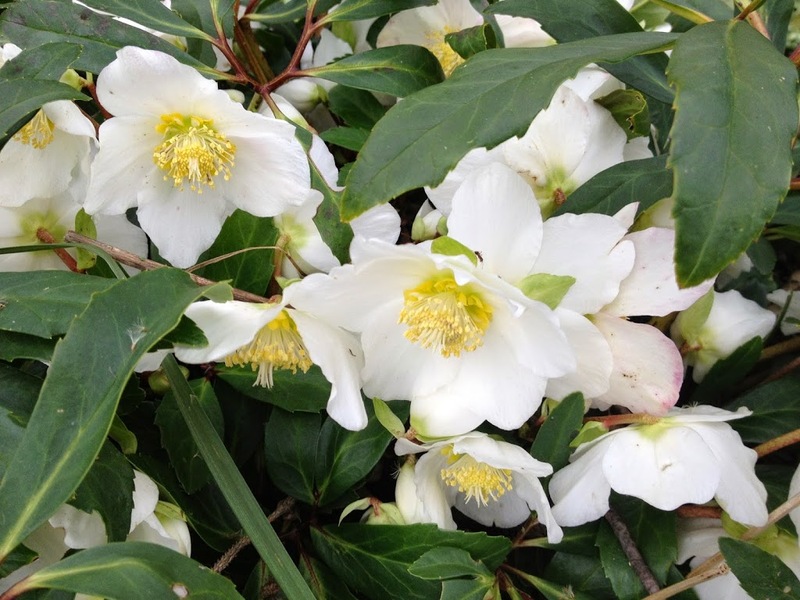 I know that the tried and true garden advice for a new homeowner is to live a year at your place before making big changes to the landscape, and part of that is discovering the interesting and valuable plants that are already in your garden. It would help considerably to have all that first hand knowledge written down and ready to incorporate into the future planning of a new garden. 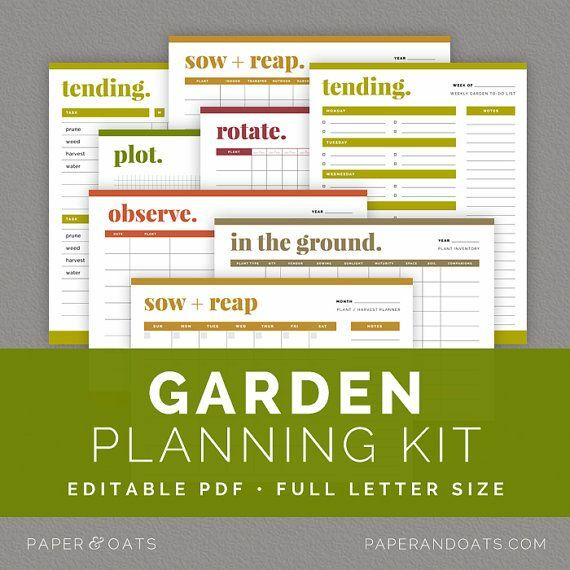 There are lots of reasons to make a hard copy (or even a digital) garden journal. Now I found one more. 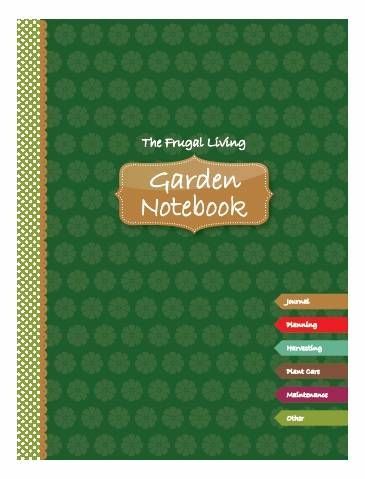 Anything from a standard 3 ring notebook to a hardback bound journal published just for gardening, the only necessary is your notes about your garden. There are free printables available, too. Even a photo album could be put to use! Slots to hold the photos of the garden with notes on index cards of the same size. I came across something else that could be useful within a home garden journal or as something separate. While perusing some photos online, on the Flickr site, I saw the photo of someones garden, and they had used a simple photo editing program to label the plantings. That is almost too obvious an idea, and I have occasionally done that with some of my photos, but never thought of it as an idea to use should I ever sell the house. Think of all those bulbs planted… and no idea of what is where! Wouldn’t it be wonderful to have a simple photo, with labels added, to help keep track of what was planted, oh, back in ’98? Sometimes it is the inventive combining of things we do ordinarily which result in an extraordinary benefit. 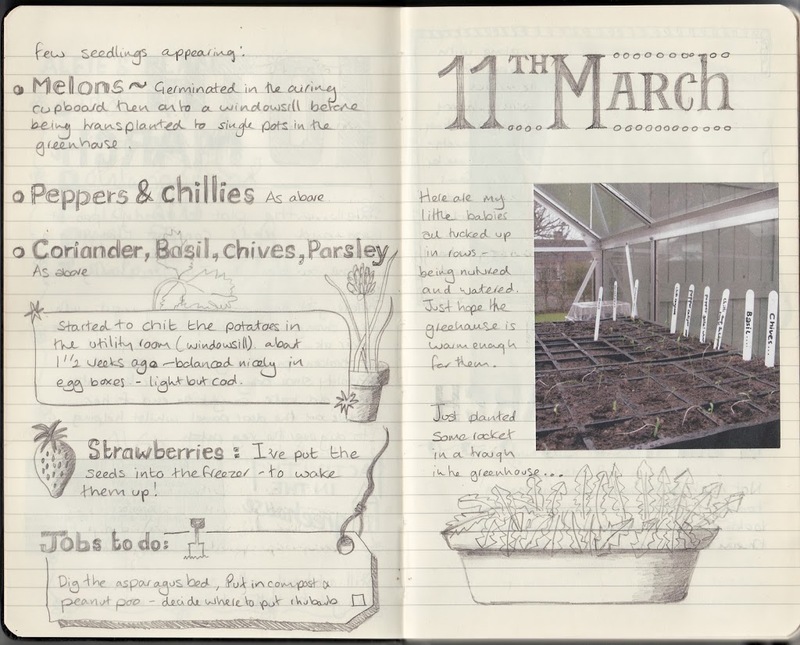 An example of a beautiful garden diary is pictured at the beginning of the post. Jane, of Easy Peasy Vegetable Gardening created a very pretty one for her vegetable plot. If something similar would record the landscape plants and bulbs – that would help give the next garden owner a chance to learn about the wonderful things you put into your garden. Just take a digital photo, label in a photo editing program, and then print out and paste inside your garden journal. 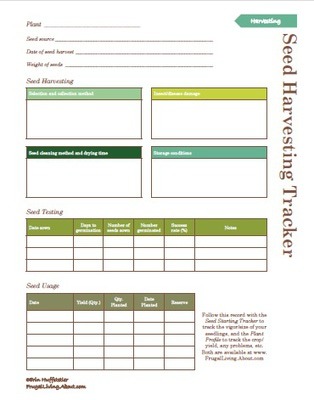 Then you are all ready to record some planting notes- voila! The garden plan ready for posterity. When I created this blog it was with the idea that I would make a journal of my own garden and the experiences throughout the growing season. I have done that, to a certain extent, but because blogging has turned out to be more community-oriented for me, rather than introspectively writing down my garden’s facts and follies, I think I need more of a hard copy journal. Why? Because I am now at a stage (whether age or simple quantity of things to remember, I don’t know) where I forget which plants I planted, what cultivars I had, or want. …And we all know how often we open those archaic archives! So as much as I like this new fan-dangled Garden Journal as Garden Blog experience, I am finding a need for digging up one of those first posts I wrote and making myself something I can paste and write in just for my own private reference. One thing that the blog has done for me: it has been a place for pictures… it forces me to take more pictures than I would otherwise (to show examples), and it makes it possible to see them in an organized way. My own photos at home are all unorganized in boxes. So long live digital photography! I notice that as the poll winds down, even more people have expressed how much pictures are a part of garden blogging for the reader. You know, I might have guessed that from the way the publishing field puts out mostly garden books with extravagant photographs, but I needed the reader input to bring to my consciousness. There is something about seeing the picture of a garden that inspires us. Well, I am going to go ahead and make a journal just for the no-frills recording of plants and plans. I could probably benefit from something like that in continuing the blog- it will be nice to have a reference point that doesn’t require me to rack my little brain, sometimes! Freezing cold. This is typical beginning for January in Ohio, a little later than usual, but now it feels like winter. It looks like one of those years when whether one mulched the roses will make a difference. Though I am not much for diaries, I have always been a list person. Lists help me think, but more important for me, help with accomplishment. They keep the direction and focus. Some people need that more than others, or maybe they just like to make their lists? So. What do I list? Plants I want to buy. 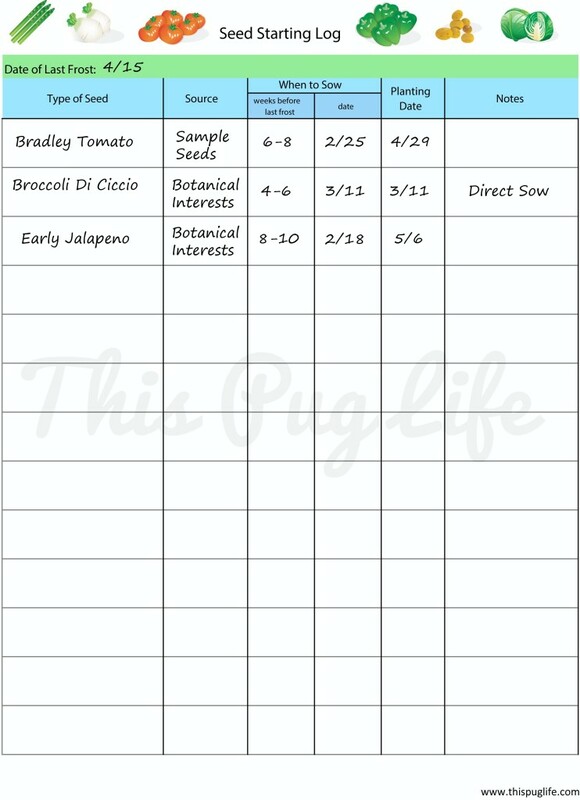 Garden chores I want to accomplish and when. Garden design ideas and projects. If I determined to get things in a particular catalog, I list the plants and their prices and reduce the choices if I have to, before sending the final invoice and check. Things like that. These are good for journal entries, so some of it may even find its way into the garden journal online, here. It is a way of making the cold cabin fever days pass with a feeling that each season has its purpose. A way to be thankful for the quietness and restrictions of the winter.